Parking.com has convenient parking for Tom Lee Park. Refer to the map to find nearby parking and for parking information such as rates, hours of operation, and entrances. Tom Lee Park is a 30-acre park located along Riverside Drive. The park is a popular destination for walkers, joggers, roller bladers, and cyclists. 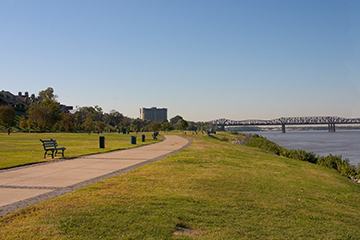 The park is also home to the Memphis Grizzlies Riverfront Fitness Trail, which provides six fitness and exercise stations, stretching supports, two sand volleyball courts, and a soccer field.